To say it’s only a decade old, the Deathly Hallows symbol has become as popular among youngsters as the McDonald’s ‘M’ to people who suffer heart palpitations. 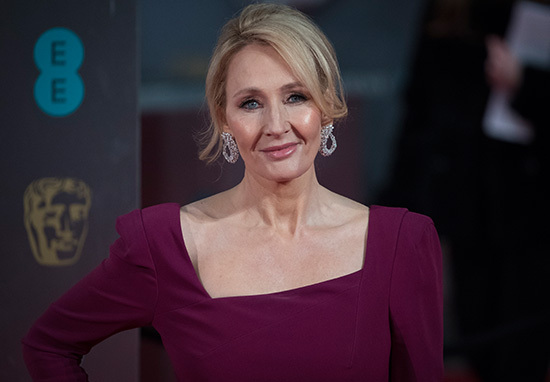 In a new BBC documentary, author JK Rowling has explained the origin behind the design. In Harry Potter: A History of Magic, Rowling recalls the moment she was drawing a sketch of Professor Sprout and watching a film when her mother died 250 miles away. She’d been watching John Huston’s The Man Who Would Be King starring Sean Connery, Michael Caine, Saeed Jaffrey and Christopher Plumber. The Masonic symbol is very important in that movie. And it was literally 20 years later that I looked at the sign of the Deathly Hallows and realised how similar they were. 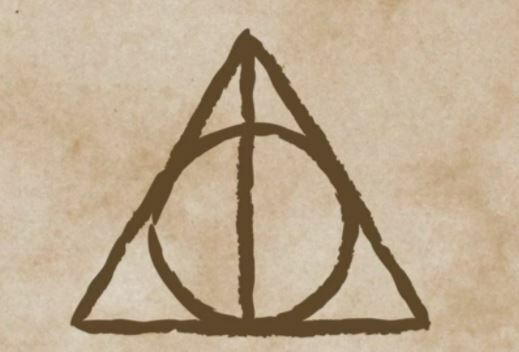 The Deathly Hallows symbol is made of three Potter standards: the Elder Wand, the Resurrection Stone and the Cloak of Invisibility. And I’ve got a feeling that, on some deep, subconscious level, they are connected. So I feel as though I worked my way back over 20 years to that night, because the Potter series is hugely about loss, and – I’ve said this before – if my mother hadn’t died I think the stories would be utterly different and not what they are. Harry Potter: A History of Magic was released alongside the exhibition of the same name at the British Library.